Stock # 11326, 3.6L V6, 9-Speed Automatic, 7 mi. 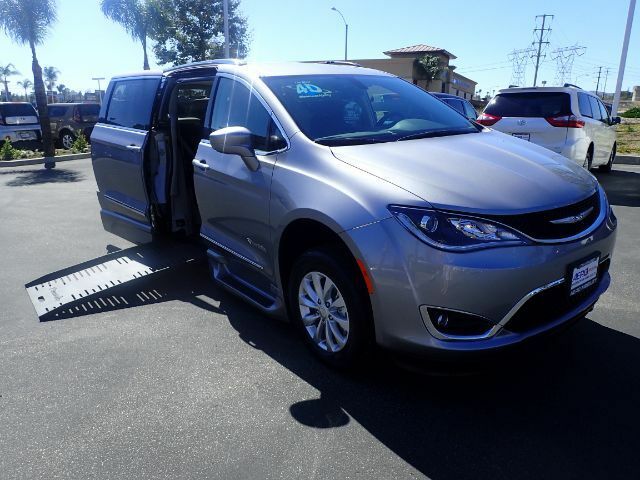 Enjoy the widest available side-entry ramp on this 2018 Chrysler Pacifica Touring-L. Converted by BraunAbility with an automatic in-floor 32.25" ramp. The driver and passenger seats can be removed to allow maximum interior maneuverability for chair users. Back seat riders can enjoy additional comfort with a fold-down footrest. Rear seats also fold down for more storage space. Call (877) 325-4000 to schedule a test drive.